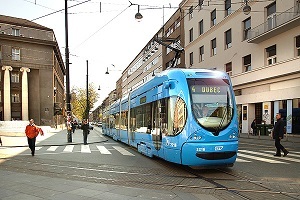 Zagreb is the capital and the largest city of the Republic of Croatia. 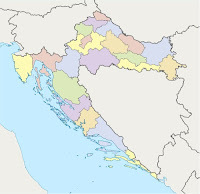 The first recorded appearance of the name Zagreb dates back to 1094, at which time the city existed as two different city centers: the smaller, eastern Kaptol, inhabited mainly by clergy and housing the Zagreb Cathedral, and the larger, western Gradec, inhabited by farmers and merchants. They were united in 1851. The Central Wastewater Treatment Plant – CWWTZ - and related infrastructure. The CWWTZ project is the first concession for a wastewater treatment plant in Croatia enabling the City of Zagreb to be in compliance with European Union environmental standards in the field of environmental and water protection. 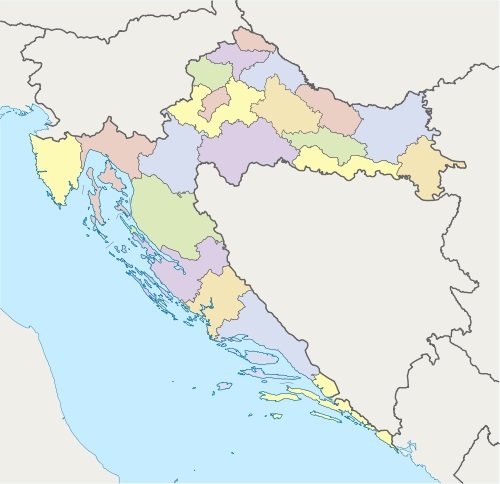 KONČAR a leading regional manufacturer of equipment and plants for generation, transmission and distribution of electric energy as well as applications for transport and other industries. The Zagreb Technical Museum with exhibits of historic aircraft, cars, machinery and equipment. Kraš and the largest manufacturer of confectionery products in South-Eastern Europe. Stari Puntijar, dinner, wine cellar and wine tasting experience. Family owned for over 160 years. Meet with 5th Gymnasium high school students; faculty and students often visit the United States and participate in competitions with US and international schools. Smiljan Zadar and Split Highlights: Lika region and the Nikola Tesla Museum. Points of interest in Zadar: the Roman Forum, medieval remains and beautiful churches in Romanesque, Gothic, Renaissance and Baroque style. Picturesque squares and stone paved streets with cafes and shops. Also, the Sea Organ on Petar Kresimir IV embankment. Rastoke - Plitvice Lakes Stopover in a picturesque place called Rastoke - with its watermills run by a waterfall named Fairy's Hair. The Plitvice Lakes - 16 magnificent lakes embroidered with hundreds of wonderful white waterfalls in the midst of forests situated in the mountainous Lika region of Croatia - are part of UNESCO's list of World natural heritage. Walk along pathways and wooden bridges across the lakes and around waterfalls. 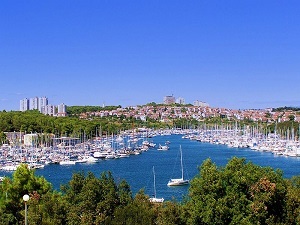 A boat will take you to the other shore of the lake and the train station. Krka National Park – Šibenik A pleasant bus drive along the coast toward the Krka river national park with numerous cascades and waterfalls. Walk along pathways and wooden bridges, visit old stone houses with watermills, weaving machines and some traditional crafts. There is also the first hydropower plant in Europe with generators designed by the great inventor Nikola Tesla. Walking around Skradinski’s typical Dalmatian streets you will see the 15th century cathedral and the church of St. Michael, the ancient patron saint of the town. Punat boat excursion, swimming and lunch on board. Biserujka Cave aka Vitezićeva Cave. The lowest point of the cave was measured at -13 meters, and the bottom of the cave is only 30 meters above the sea level. The cave extends beneath the surface and its overlay never exceeds 6 to 8 meters. Bone fragments of a cave bear (Ursus spelaeus) were found in the cave. In the deeper part of the cave variations of microclimatic parameters are minor; soil and air temperature is about 15.0° C with relative humidity of about 95%, which makes the cave environment quite enjoyable. Trogir-Solin-Split A stop in Trogir includes the monastery and church of St. Lawrence with the famous portal carved by master Radovan in the 13th century, the Kamerlengo fortress and, nearby, the 15th century round tower. On the way to Split, Roman Salona/Solin, one of the most important Roman and early Christian localities. Tour the forum with the 1st century theatre, temples, the town walls, old Christian cemetery Kapljuc with the remainders of basilicas from the 4th century. In Split, the palace and its cellars, Peristil, the inner yard with colonnades, the cathedral and its famous bell tower, the Golden gate and the monument to Grgur Ninski. Kornati Park A full day boat excursion to the most popular Adriatic archipelago and the southern cliffs that rise vertically above the sea up to 90 m. Kornati Archipelago will inspire you with its numerous bays, small fishing villages and crystal clear waters. Krapina-Zagorje County is located in northwestern Croatia, bordering with Slovenia, Varaždin County and Zagreb, with an extraordinary rich history and cultural heritage. 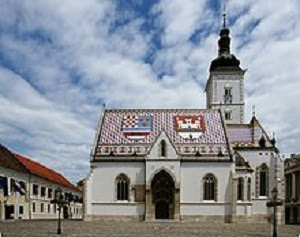 No other part of Croatia offers as many medieval castles and fortifications, churches, abbeys, and archeological sites. 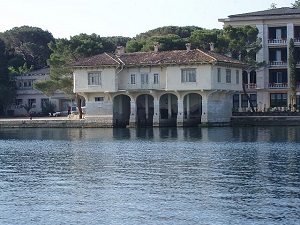 The region also boasts five museums. 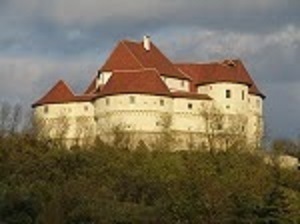 Veliki Tabor Castle is one of the best preserved late medieval castles in Croatia. Built by the royal owners and then given to the noble Rattkay family in the 16th century, it remained their estate till 1793. The oldest part of the complex was used as a residence and for defense. The semi-circular towers were built when firearms became an important element of warfare. A newly renovated part and the central tower opened to the public in 2011 with the exhibitions: Veliki Tabor in the Light of Discovery and Age of Fortifications – Fort Vrbovec. They give general information on the history of the castle, their owners but also about the vast archaeological and restoration work of the site and in the surroundings. Architecture seen from a distance or from a spot in front of the entrance gate, the massive towers and high walls are equally impressive. Beautiful views open on all sides to picturesque scenery of the region. You can escape to the past undisturbed and return enriched with the romantic experience of the former times. Listen to the stories of the owners and the tragic and unfortunate love stories like the peasant-woman Veronika Desinićka and count Friedrich Celjski. Art-conservation, restoration and archaeological research. Medieval Weapons – a costumed knight introduces children to medieval weapons and protective armor. In addition, there is a presentation of the making of protective armored clothing from metal knockers or the making of the medieval bow and arrow. Archery – presents the use of bow and arrow and pointing to the target. Then, participants engage in a competition, followed by the announcement of winners and the awards ceremony with participants receiving written certificates. An Introduction to Veliki Tabor – a workshop using a PowerPoint presentation on the importance of Veliki Tabor and its individual segments, constituting a unified late medieval fortification. The second interactive part of the workshop focuses on children using wooden materials to construct Veliki Tabor Castle. Puppet Making – guignol of Veronika Desinićka and Friedrich. Puppet performances for children by a travelling medieval puppet show, entertaining visitors with new performances.